Kelve Beach, also known as Virgin Beach, is situated 5 kilometers from the Kelve Station and 8 kilometers far from the Palghar Station. 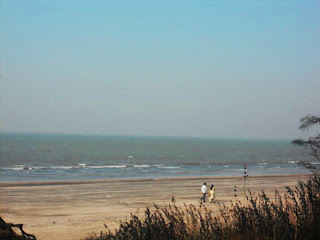 Kelve beach has the largest stretch of about 7 kilometers of coastline of the Arabian Sea. The beach is surrounded by abundant Australian Pine Trees. Attractions nearby Kelve Beach are Kelve Fort and Sheetla Devi Temple. This beach is famous amongst the college students and overcrowded by local tourist during the weekends. Numerous luxurious hotels and resorts are there in Kelve to stay.